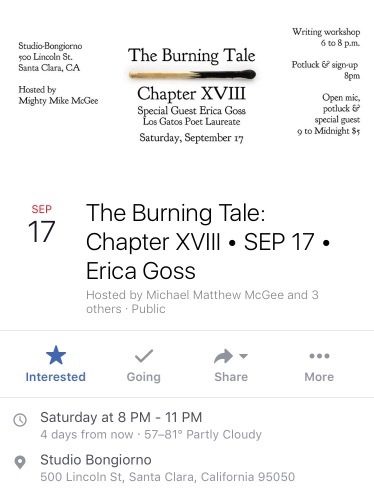 Reminder: Upcoming events this week! 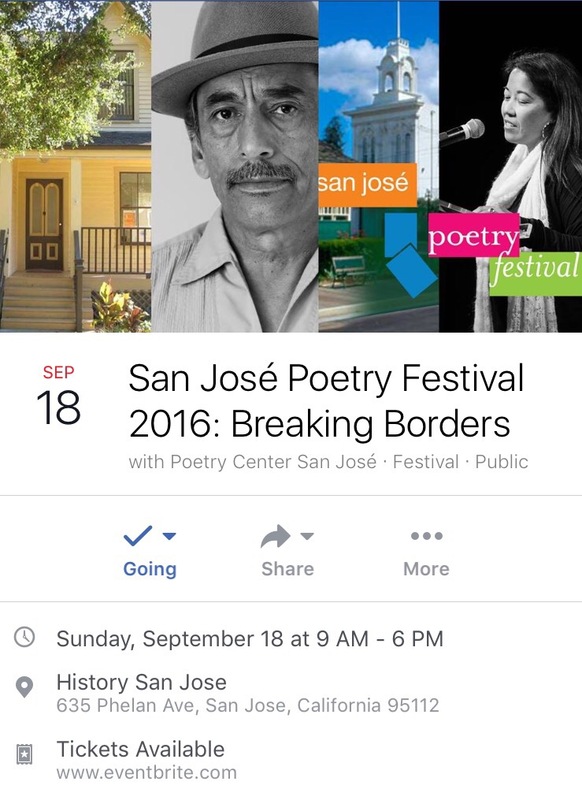 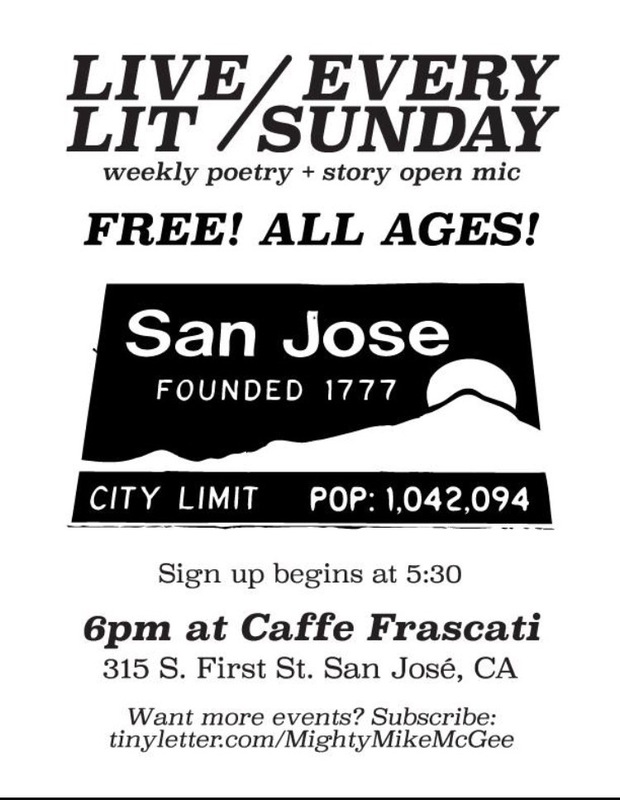 Don’t miss the San Jose Poetry Festival this Sunday, September 18 at History Park San Jose. 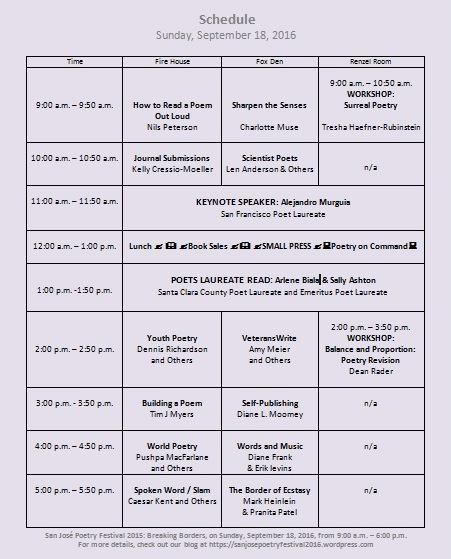 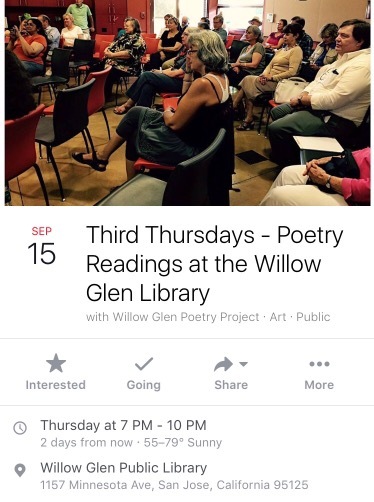 All details of workshops, readings and activities on the Schedule. 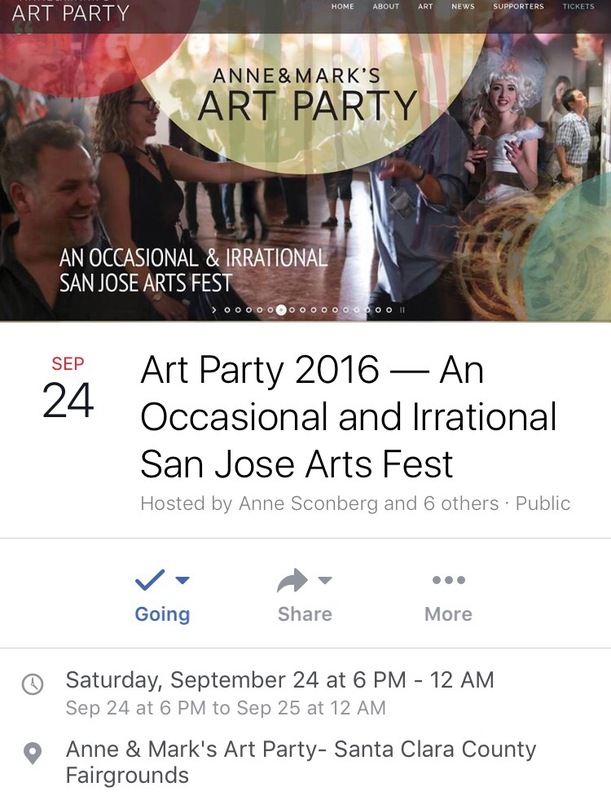 Coming up on September 24-25, Literary events at Anne & Mark’s Art Party opening gala weekend! 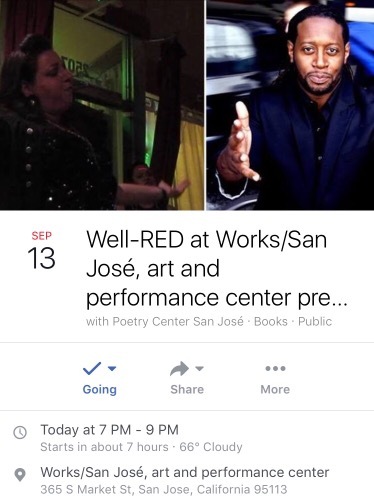 Spoken Word Lounge events listed here.